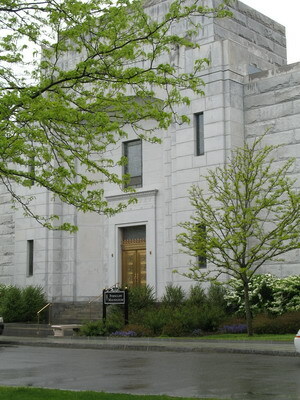 The photograph on the left shows the main building at the Ferncliff Mausoleum and Cemetery in Hartsdale, New York. It is in this building where Neville and Elizabeth Bayley were interred, Neville in 1948 and Elizabeth in 1960. Their vault is in Section M-02, Alcove RR, Crypt 14. 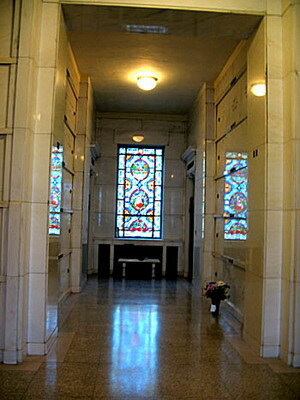 The photograph on the right shows the alcove where they were buried; their crypt is on the right hand side near the top. Photographs by Anne Healy Field, May 2008.